unrealism that has stormed into her 1984 material girl life. Arnold went on to bigger budget movies and the list of nameless foes he so entertainingly ended rose into the hundreds, but never was he more lethal or convincing than in this tech-noir tale. 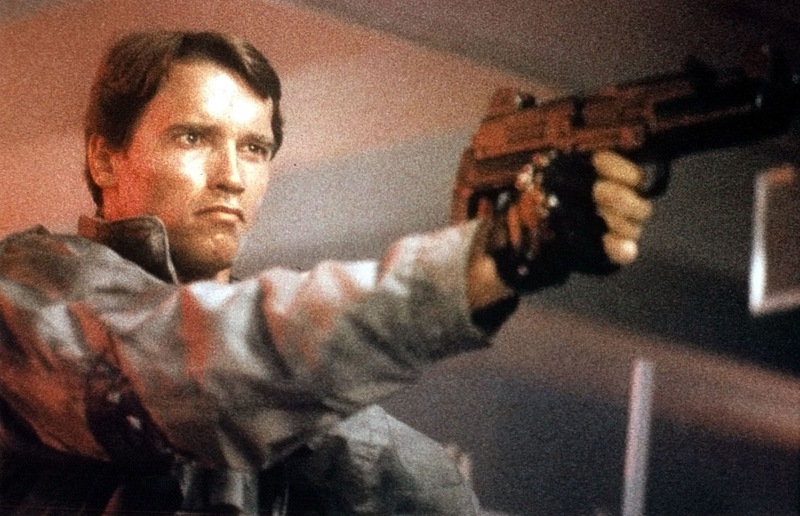 With Stan Winston providing the special effects and Brad Fiedel orchestrating the heart-pumping score, The Terminator still reverberates today as a warning against unchecked technological progress and the power of the human spirit. While many a night has been wasted endlessly debating whether this film or its’ sequel, Terminator 2: Judgment Day, is the superior work, the question for me is answered with the scene of Schwarzenegger breaking into and annihilating an entire police station in the original. His systematic and unemotional disposal of human interference is truly something to behold. ‘It can't be bargained with. It can't be reasoned with. It doesn't feel pity, or remorse, or fear. And it absolutely will not stop, ever, until you are dead.’ And for once in a movie, the statement matches the villain perfectly and then some. An everlasting testament to the creative talent behind this keeper.